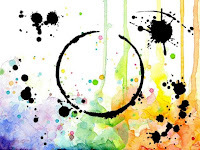 May Challenge – Express Yourself! Hi there! We have a brand new themed challenge starting in our Facebook group today! From this month we will also be giving you a theme to play along with, and there is a massive £40 coupon up for grabs for the lucky winner! 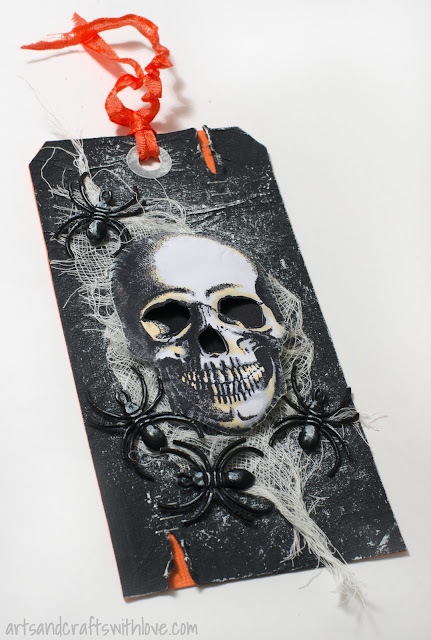 We challenge you to make WORDS the focal point of your card, tag, project or journal page! 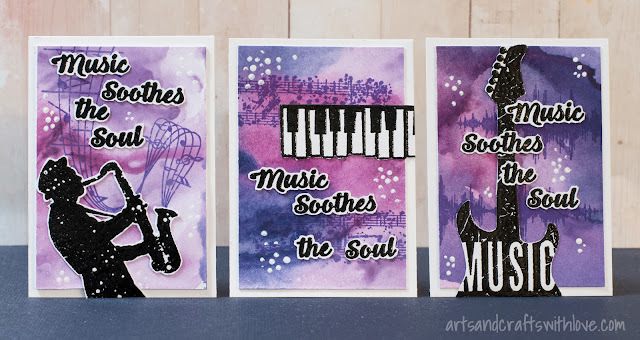 You can create absolutely anything, but you must include some stamping and any stamps you use must be from Visible Image – you can use any other products you wish to! Whether you decide on your quote or sentiment first, or build your background and then decide, it’s all just about having fun! The challenge closes on the 28th and the winner will be chosen at random from all the entries on the 1st day of the following month. and we will be sharing more inspiration for this challenge theme throughout the month! Have a good Monday.. Bank Holiday and raining here in South Wales! Hi there, we still have a few more stunning projects to share with you today here on the blog, as we catch up with everything our incredible team have been creating with our NEW stamps! I stamped the images on light blue cardstock, and coloured them with a few blue and green Promarker colours. The darker blue shades I inked with Distress inks. For the white highlights I used a gel pen, and the white quote I stamped and heat-embossed on a piece of white vellum. Attaching vellum especially on a dark background is sometimes tricky as the glue dots may show through. The easiest solution is to fold the ends of the vellum strip on the back of the card and not to use glue on the card front at all. 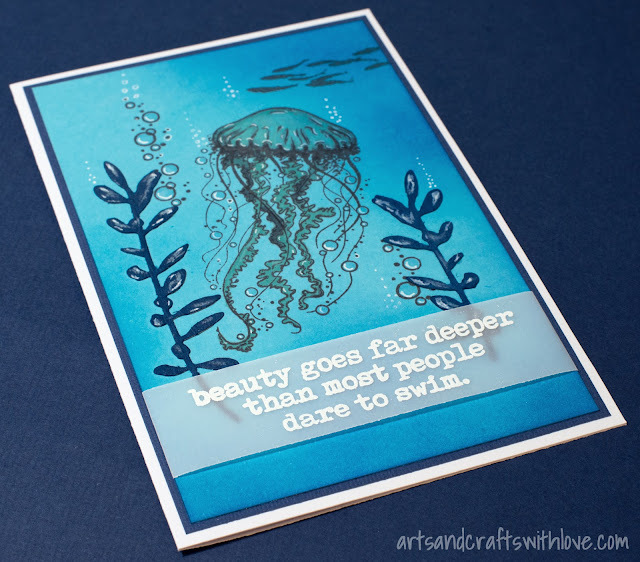 The dark blue plants are die-cut using a Sizzis/Tim Holtz die from some time back. Before gluing them on the card front I added some lighter colours on the leaves (with a white gel pen and a light blue pastel pen). Done! Wow such a beautiful card ♡ Thank you Elina! Thank you for visiting today, hope you will check out the rest of the projects shared this weekend on here on our blog. Anything is possible if you Believe… that couldn’t be more true! available NOW as part of the February 2017 new releases. The unicorn may look a bit familiar BUT look at those new additions – the moon, those clouds, the stars….it’s just beautiful! 1. I cut a rocky ground base from spare card and gave my unicorn something to stand by applying a layer of Versafine onyx black ink. 2. I stamped the unicorn with Versamark and heat embossed with white powder. I did the same for the moon. 3. I made a mask for the moon so that I could stamp two clouds behind and then one over, and embossed in silver. I then stamped and embossed the sentiment. 4. I added the crossed stars in silver and a few stamps of stars in white, then trimmed to size and mounted onto holographic card, then onto a black 15cm square card base. 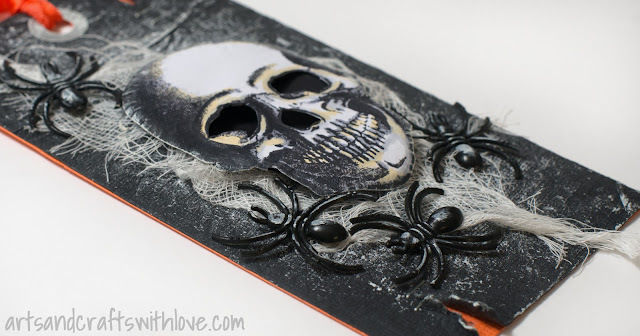 You will find more of Nicky’s fabulous cards and projects over on her blog. over the coming week while we prepare for the BIG Trade Show here in the UK next weekend! Mr Bones is at it again!!! 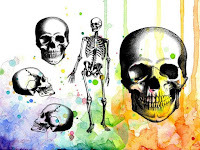 Oh this skull just keeps on giving…in so many ways! This is the third card that I’ve made with this stamp set. It is so versatile and heaps of fun to play with.This time he is getting the ‘smokey’ look. This card is made in brown monochrome colours, in a CAS style. The swirly background gives it an almost surreal atmosphere, as if he has been buried for ages. And wonder what his story is??? We’ll be back tomorrow with something awesome from Teresa! Hello there! Thanks for visiting us! 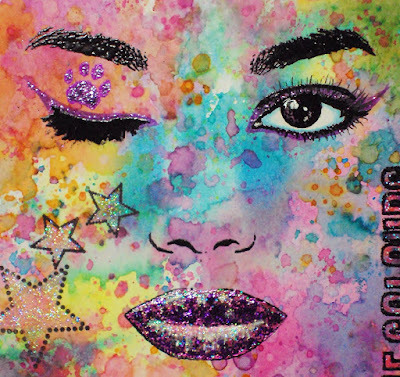 We promised you more gorgeous inspiration…Teresa Morgan has a stunning card to share with you! Are you loving the new packaging on the Visible Image stamps?? Not only is it bright and colourful, it is bigger too so you get more amazing stamps in each set!! 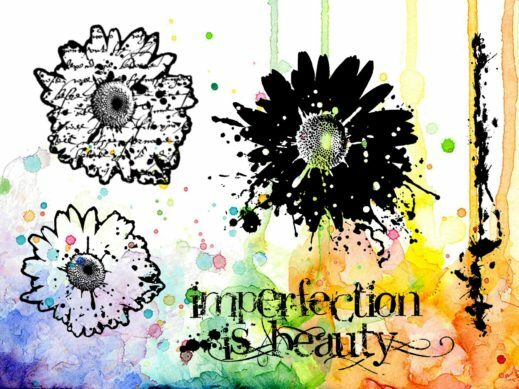 This card has all of the awesome new flowers from the Imperfection Is Beauty set and I love them!! I stamped the flowers with Versamark ink and embossed with WOW Powders Superfine Opaque Bright White EP. The sentiment is embossed with Bluetiful and Pink Lady EPs (also from WOW Powders). I used Cosmo Crickets Swatch Sticks water colours to wash over the embossed flowers. The EP acts as a resist. I love the soft dreamy feel of the watercolour paint. Love this new flower with the text detail on it!! Thanks for stopping by – don’t forget to check out the links below for more info and inspiration. Come back soon for more fantastic projects from our awesome team! Hello! Thanks for visiting our blog today! We have lots of inspiration to share with you today… catching up with all the fabulous cards and projects our amazing team have been creating. 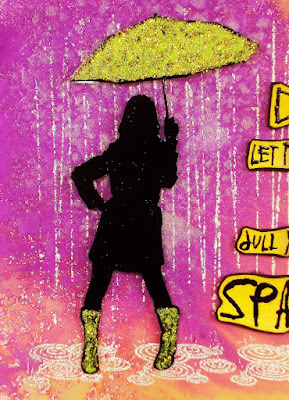 I hope you are all well, and as there has been rather a lot of rain lately, I thought that my ‘Visible Image Stamps’ inspiration this week, should emulate the weather, lol, so I used their awesome ‘Sparkle in the Rain’ stamp set. 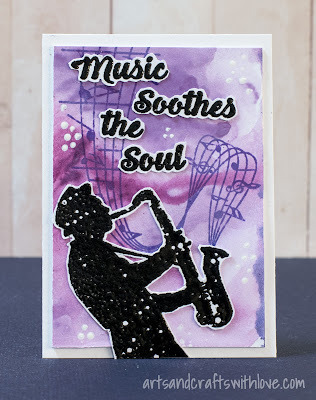 I started off with a piece of A4 white card, and gave it a spray with a Purple and a Lemon ‘Starbust’ spray ink, from Lindy’s Stamp Gang, super vibrant colours which are full of lovely mica, making a fabulous glimmer. I then cut my card, to fit a 6″ card blank. I used the rain stamp and the puddle stamp with some versamark, and heat embossed with some ‘Sparkling Snow’ powder, by Wow. On some heat resistant acetate, using Versamark, some Black Wow Embossing powder, and the Lady Stamp, I heat embossed, and fussy cut it, adding yellow Stickles to her Umbrella and her boots. 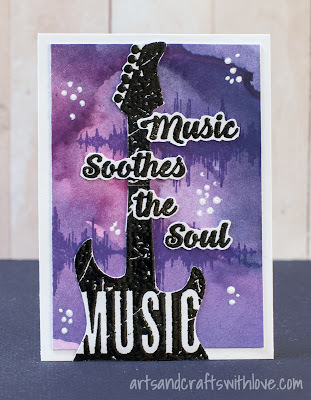 On some more white card, I stamped and heat embossed the sentiment, fussy cut it, then coloured it with some Distress Inks. Still a couple of weeks to enter the ‘Show & tell’, for a chance to win a £25 voucher, to spend on luscious new Visible Image goodies. Take a peek in the Visible Image Group too, there is daily inspiration from the DT, and members too……HERE. Love this card Pauline! ♡ Gorgeous background and the new rain and puddles stamps are so cool! We are bringing back some awesome stamps just for the sale! Not to be missed so be ready as things go a little crazy!!! We’ll be back with more Design Team inspiration very soon!